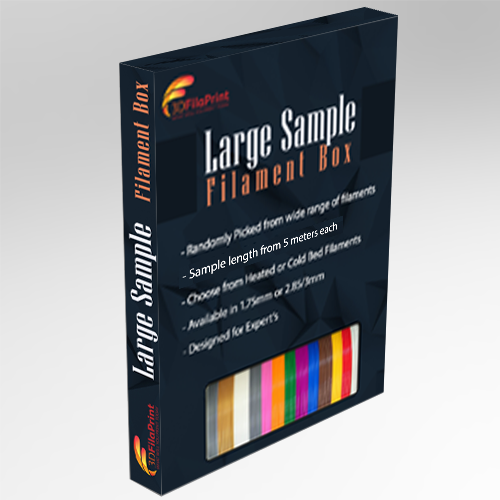 We love to print all day long with lots of different filaments and we want you to have the opportunity to do the same but for the lowest cost possible. So we have put together 4 sample boxes that you can order for as litttle as £5 per box, which includes postage costs (within the UK) and VAT. The samples are randomly selected from various manufacturers, each sample can be between 5 &10 metres long. G33K! Box has a minimum of 5 Specialty filament types (may include brass, bronze, steel, conductive etc).